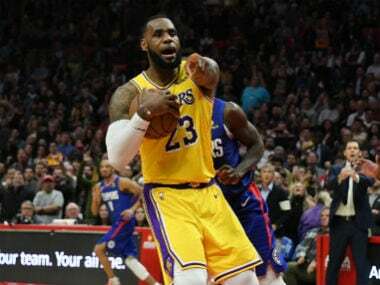 Los Angeles: Four-time NBA Most Valuable Player LeBron James is a "possibility" for the defending champion US team at the 2020 Tokyo Olympic Games but says he will skip this year's World Cup in China. 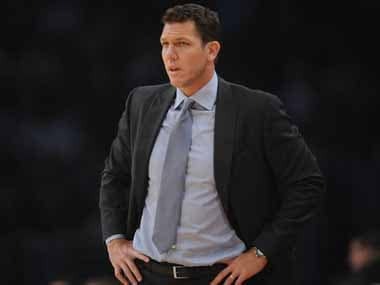 The 34-year-old forward for the Los Angeles Lakers told The Athletic website in a story posted Monday that he will begin production on the movie "Space Jam 2" during this off-season and how he feels after next season will determine his chances of playing for gold in Japan next year. "That's a possibility," James said. "It depends on how I feel. I love the Olympics." James spent most of the 2004 Athens Olympics on the bench as a US team of NBA stars settled for bronze, then served as the backbone of a revamped program that won Olympic gold in 2008 at Beijing and 2012 in London. He did not play for the American squad that captured a third consecutive title in 2016 at Rio. 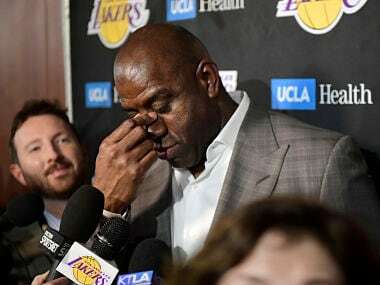 James is entering the earliest NBA off-season he has known, the Lakers having benched him for the finish of the campaign due to a left groin injury that has nagged him since late December. 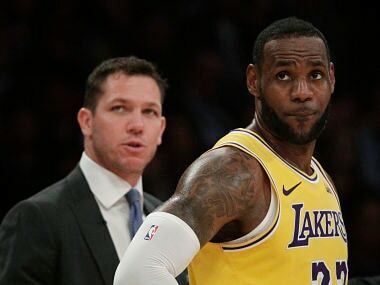 This season snaps an eight-year run of NBA Finals appearances for James, who captured two titles with the Miami Heat and another with the Cleveland Cavaliers, whom he left as a free agent to join the Lakers last July. James will miss the playoffs for the first time since 2005 and plans for extra training time during his long summer break as well as his movie work on a set that will include a basketball court so he can get in some workouts while making the movie. "I've had basically the same offseason training regimen the last eight years," James told the website. "I knew how long I wanted to rest for the season on a short timeline. I'm figuring out now how to get as much as I can out of two months of extra time for training. "It requires a totally different strategy. We're looking at it in an entirely new way." The "Space Jam" sequel being made by the SpringHill Entertainment production company owned by James is set for a July 2021 release, 25 years after the original film with NBA legend Michael Jordan and animated allies like Bugs Bunny was released. That meant James wasn't going to be a candidate for the US team of NBA players competing under coach Gregg Popovich in this year's FIBA World Cup, set to open August 31 in China. "I love everything about Pop, obviously, but this is not a good summer for me," James said. James averaged 27.4 points, 8.5 rebounds and 8.3 assists for the Lakers this season and passed Jordan for fourth place on the all-time NBA scoring list.